Belle™ Premium American Vodka is thrilled to announce its powerhouse partnership with legendary blues rocker, Mindi Abair of Mindi Abair and The Boneshakers, uniting two age-old friends — good booze and great blues. 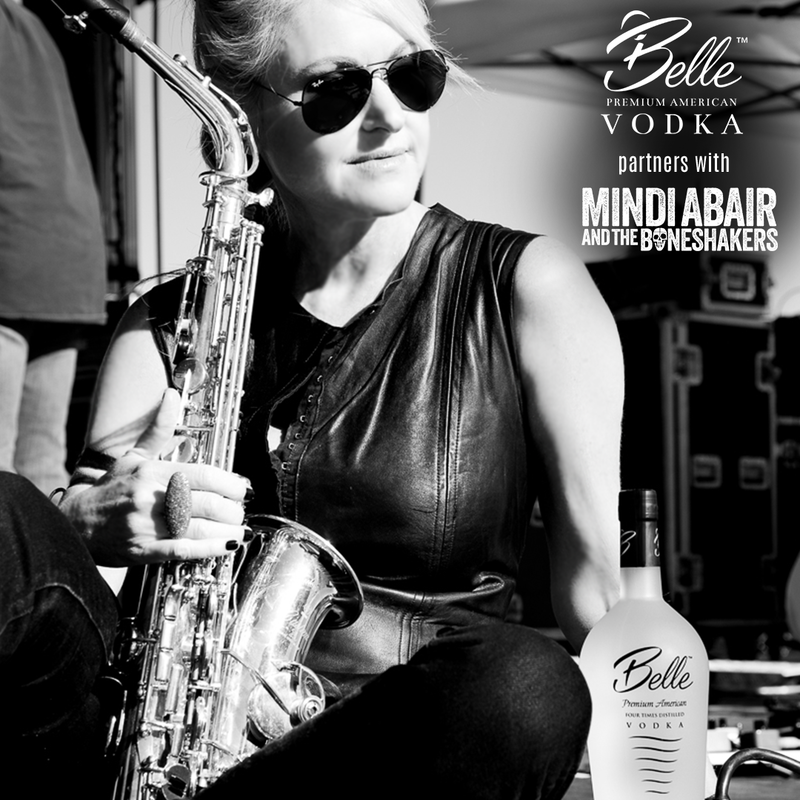 Belle™ Premium American Vodka is excited to announce its partnership with the rocking and captivating blues artist and band, Mindi Abair of Mindi Abair and The Boneshakers. 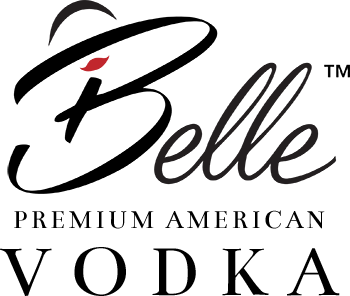 The Virginia-made, award-winning spirit is a beautifully packaged, premium vodka offering top-shelf quality and a smooth finish. Not just another vodka brand, the Belle team actively recognizes women who follow their dreams with the #BelleRisin campaign. It is this shared passion that has united Belle Vodka and the chart-topping, award-winning, woman-fronted Mindi Abair and The Boneshakers. Founder Townsend “Towny” Lunsford and the Belle Vodka team, through their new #BelleRisin and #BadAssBelle campaigns, seek to highlight women doing extraordinary things. As he says, “From the classroom to the boardroom, and then onto a myriad of other stages and arenas, you see women pushing the limits and breaking down barriers. That’s good stuff!” Therefore, the collaboration with saxophonist, vocalist, songwriter, and two-time Grammy® nominee Mindi Abair seemed like a natural partnership. Abair is one of the most recognizable saxophonists and blues musicians in the world today. She has built a name for herself rocking the sax and vocals onstage and in-studio alongside legendary rockers like Aerosmith and Bruce Springsteen. Her collaborations have been with the likes of Joe Bonamassa, Keb Mo, Gregg Allman, and many other notable musicians. Abair embodies all things girl power, and like her new partners at Belle Vodka, is devoted to inspiring, celebrating, and motivating women of all ages and walks of life to achieve greatness. Belle Vodka and Mindi Abair and The Boneshakers are delighted about their initial collaboration at the Punta Gorda Wine + Music Festival on November 17, 2018. Mindi Abair and The Boneshakers will, of course, light up the stage with their foot-stomping blues jams, while Belle Vodka will be available for delicious cocktails throughout the duration of the festival. For more information about their inaugural collaborative event at the Punta Gorda Wine + Music Festival, please visit https://www.mindiabair.com/. To learn more about Belle™ Premium American Vodka, please visit https://www.bellevodka.com/.  Belle™ Premium American Vodka is a growing regional vodka from Virginia. Award winning Belle, recently named the Official Vodka of America’s Best Racing, rivals the most popular domestic and imported vodka brands in taste, character, and finish. It is the perfect spirit for any occasion, whether you prefer to sip it over ice or mixed into your favorite cocktail. Check out their recent launch of #BelleRisin and #BadAssBelle campaigns.